Initiated by Zeynep Tanbay in 2000, the Zeynep Tanbay Dance Project (ZTDP) has proved to be the trailblazer in Turkey in the field of dance since its very first appearance. Maintaining its continuity independently of the state and gathering an enthusiastic audience through new projects every year, ZTDP successfully carried the mission of filling the gap in the field of dance in Turkey. For the first five years, featuring various dancers and choreographers on project basis, ZTDP embraced a repertoire of solos and duets. During this period guest dancers from the companies of Mats Ek, William Forsythe, Hans Van Manen, Jiri Kylian, performed thoses choreographers works which were seen first time in Turkey. 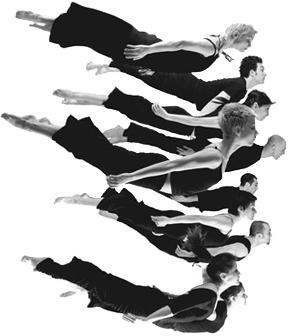 In 2006 ZTDP entered a new stage as a an independent, professional dance Company, gathering 10 dancers under one roof, supported by private sponsorships. Presenting modern dance outside of İstanbul, reaching a wide audience through national tours and building an authentic repertoire with new works by Zeynep Tanbay, leaded to many innovative creations in the field. The company was invited by international dance festivals and events such as Tel-Aviv Dance in Israel, Sofia Dance Weeks in Bulgaria, Shanghai Expo in China, or Athens Festival in Greece, among others. On 28 September 2011, at the Opening-Gala of Staatsballett Berlin, a duet from Tanbays choreography ARAZ was performed by the worlds dance star Vladimir Malakhov. Tanbay was presented by the İstanbul Culture and Art Foundation (IKSV) as one of the most significant pioneers of modern dance in Turkey. Zeynep Tanbays vision of dance has been an influential force in the shaping of modern dance practice in Turkey.